ALEX Toys - Active Play, Super Parachute Only $27.13 (Reg. $62.50)! You are here: Home / Great Deals / Amazon Deals / ALEX Toys – Active Play, Super Parachute Only $27.13 (Reg. $62.50)! ALEX Toys – Active Play, Super Parachute Only $27.13 (Reg. $62.50)! If you are looking for a great outdoor activity for your kids, check out this great deal! 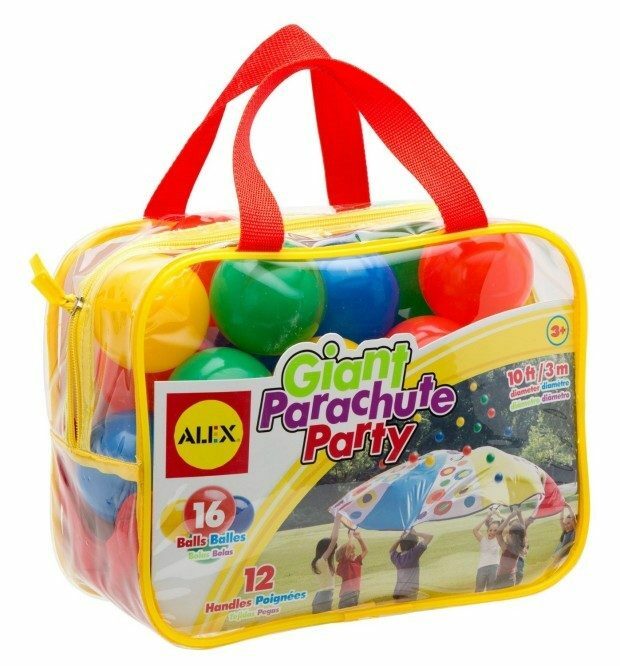 You can get this fun ALEX Toys – Active Play, Super Parachute for only $27.13! Your kids are sure to have hours of entertainment with this parachute! One of Dr. Toy’s Best Play & Learn Vacation Products!